Presented by: Chelmsford Camera Club to celebrate our 60th anniversary. 1952 - 2012. 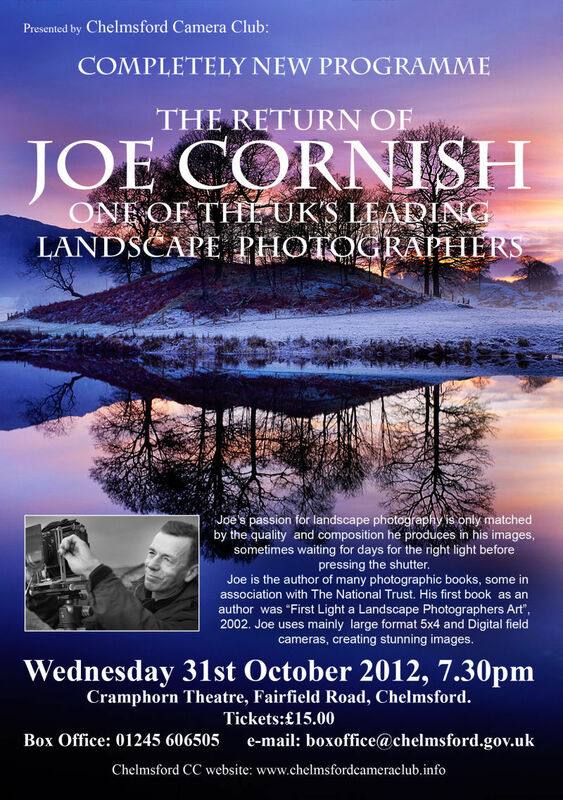 Wednesday 31st ctober 2012, 7.30pm. Cramphorn Theatre, Fairfield Road, Chelmsford.